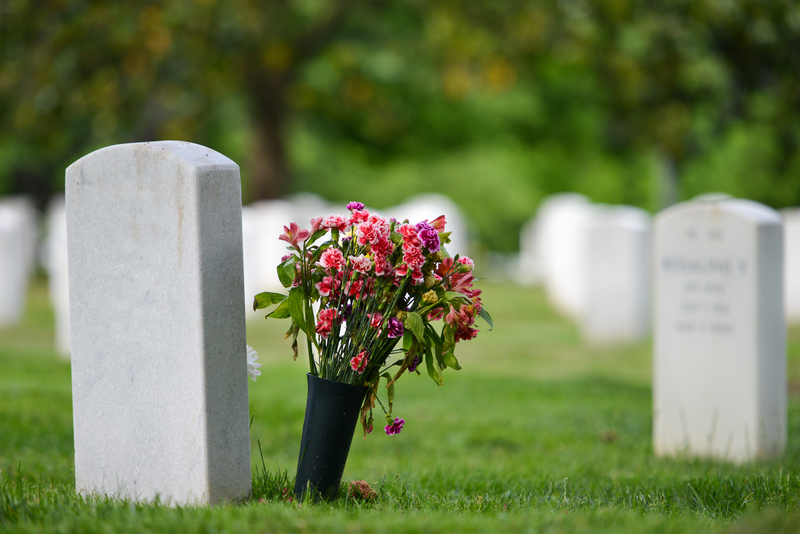 BURIAL is only one part of the grieving process. It is essentially a continual development within which there will always be moments of sorrow, reflection and, indeed, joy, as memories of happier times return to the forefront of your mind. One way of making grieving and commemoration less painful and more positive is to use graveside ornaments. There are now a huge range of highly tasteful ways of marking the loss of, and permanent devotion to, a loved-one. When a loved-one is buried in a cemetery, it is the start of a new and clearly very different relationship. The departed person remains very much a part of the lives of those they left behind, but in a new and deeply emotional way. Clearly, most families will have an ongoing relationship with the grave itself. They will want it to be kept in a clean and tidy state. More than that, though, they will want to lay tributes, a marker of love, respect, and remembrance. Floral tributes are the most popular form of remembrance. Flowers have a physical beauty that encapsulates the act of paying respect perfectly. But there are many other ways for people to make their innermost feelings known. Graveside memorials include ornamental photo frames carved in stone, as well as beautifully designed T-light holders to allow the respectful burning of a flame. There are also stone hearts carved with the name of the loved-one, the same with pebbles, or small ornamental angels sat guardian over the resting place. Some place blankets over a grave in winter months to feel they are keeping it warm. On Armed Forces Day, some may choose to plant a small flag. Whatever, the purpose is clear – to make the place feel as special as possible. To make that sojourn to the cemetery as poignant and special as we all want it to be. It is a way to address that most difficult and personal of subjects – how to deal with grief. Of course, many cemeteries will have restrictions and rules about adornments and decorations. These are shared spaces and we all must be respectful to one another. It always worth asking before making any addition, flowers aside, to a grave. There has, for instance, been occasional use of solar lights to illuminate the grave at night. That is not going to be to everyone’s like. Similarly, while some graveyards and crematoriums may have no issue, others may object to the placement of a small permanent plant in the area. As a rule, many places of burial are perfectly understanding of relatives’ desire to mark graves in a poignantly individual manner. Mourning and respect is forever evolving. A grave works on exactly the same principles. We hope you have found this blog helpful and informative. Please feel free to contact us for help and advice at Davis Memorials.